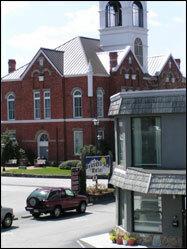 Located on the historic Square in Downtown Blairsville, we offer everything you need for an enjoyable stay in the Northeast Georgia Mountains. With affordable rates, immaculately clean rooms, and the family friendly atmosphere of on-site owners, you'll find that Seasons Inn is a great destination. Our 25 rooms (with over half on ground level) are within easy walking distance of restaurants, hair salons, retail/clothing stores, antique shops, and real estate offices. Seasons Inn is also centrally located to traditional downtown events including the annual Sorghum Festival, the annual Spring Arts, Crafts & Music Festival, the monthly Blairsville Cruiser's Car Shows, and weekly Friday Night Concert Series. Seasons Inn is located in the North Georgia Mountains. 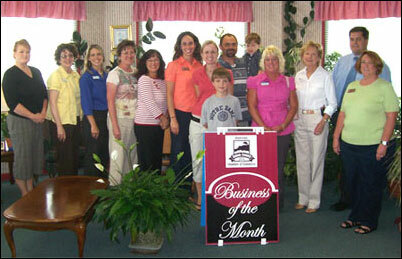 In the News - Seasons Inn receives the very first Blairsville-Union Chamber of Commerce Business of the Month designation. Seasons Inn welcomes you winter, spring, summer and fall. Visit Seasons Inn at Christmas for holiday cheer! 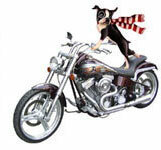 Seasons Inn welcomes bikers, cyclists, and pets. See our pet policy for details. 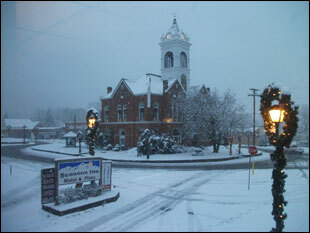 Welcome to Seasons Inn on the Square.